The V60 is all new and handsomely designed at that. Just as some manufacturers are distancing themselves from cars, Volvo is embracing them. Further, these car models are not just sedans, but wagons. 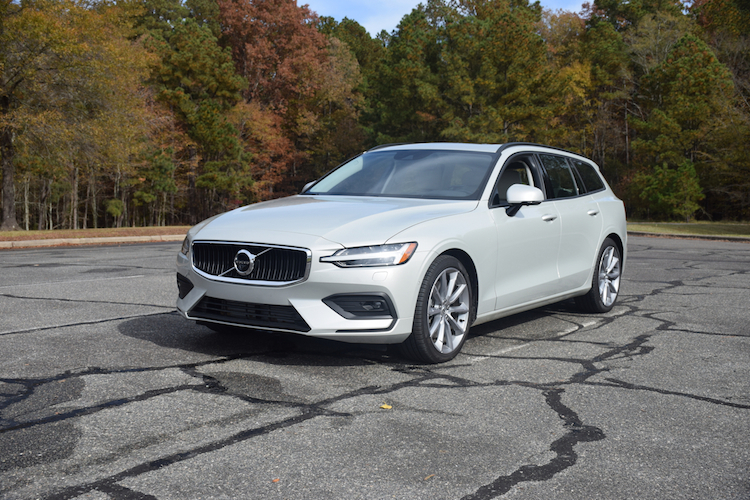 Indeed, this Swedish automaker offers not one, but two wagon models, including the all-new 2019 V60. No, Volvo isn’t neglecting SUVs — you’ll find three lines in the brand’s portfolio. Presently, the automaker is also offering two wagons and a pair of sedans, giving it seven model lines. There isn’t a Volvo coupe or sports car to be found, as four-door models comprise the entire lineup. The 2019 Volvo V60 launches this model’s second generation, replacing the previous model which debuted in 2015. 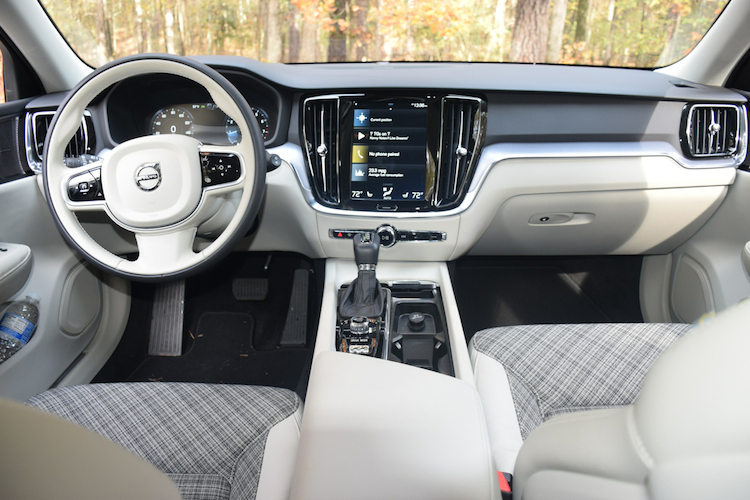 The latest model is based on Volvo’s common modular architecture, which it shares with every other current Volvo model. 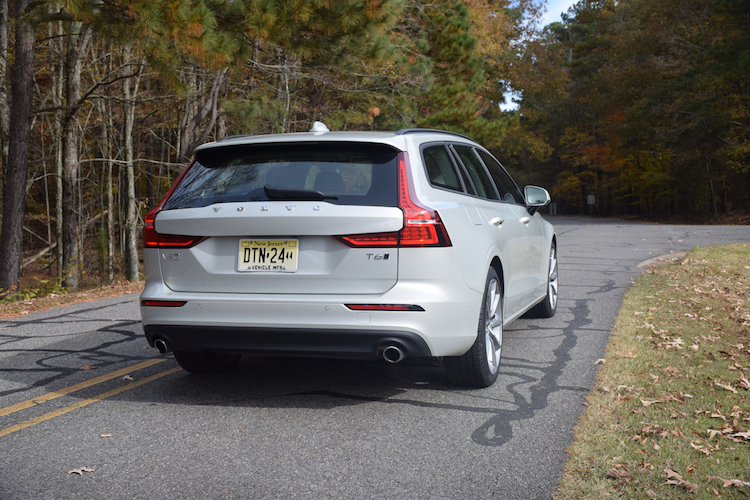 The V60 wagon is closely aligned with the S60 sedan and the XC60 utility vehicle. 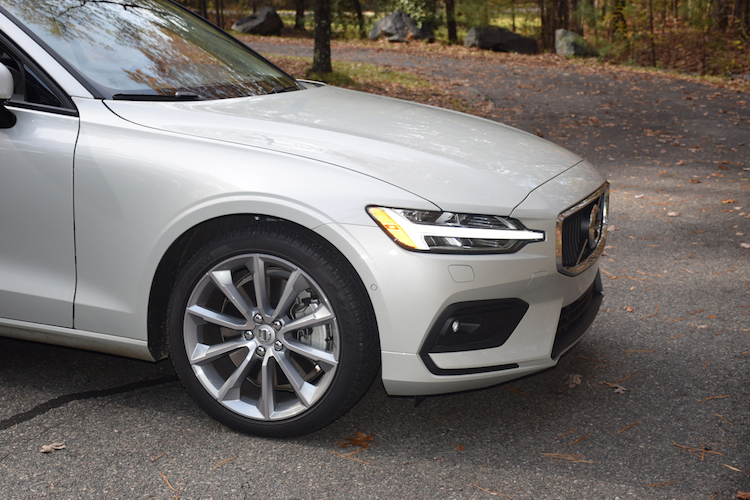 Volvo offers the 2019 V60 in Momentum ($38,900), R-Design ($43,900), and Inscription ($49,400) trims. 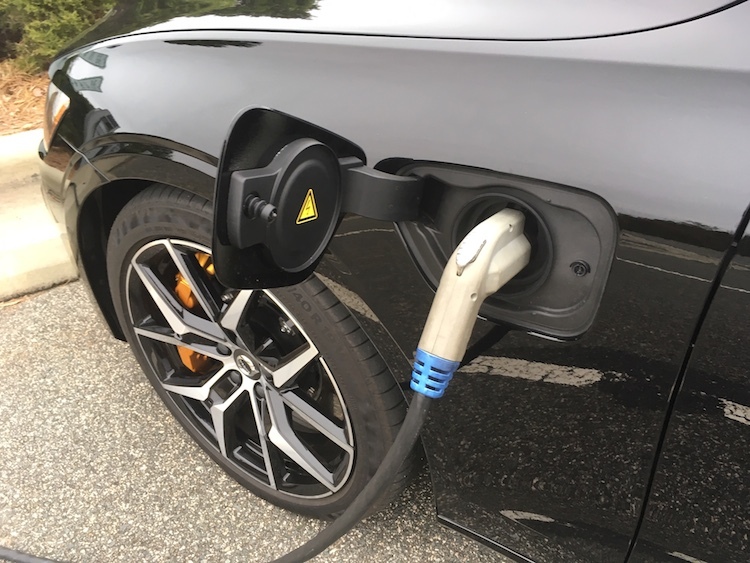 From there, Volvo divides the product line between T5 FWD (front-wheel drive) and T6 AWD (all-wheel drive) choices, with prices increasing by $4,500 for the latter. There is a difference in powertrains too as the 2.0-liter four-cylinder engine is turbocharged with the first choice and both turbocharged and supercharged with the second choice. All models benefit from an eight-speed automatic transmission. 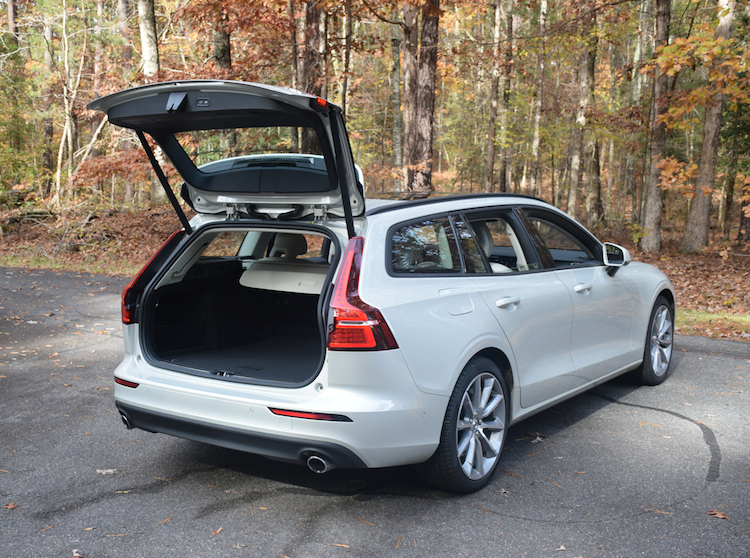 You’ll find ample package offerings with each V60 trim. Base models offer a Heated Front Seats & Heated Steering Wheel Package ($750) and a Premium Package ($2,050, with a rearview mirror compass, automatic dimming mirrors, retractable side mirrors, front & rear park assist, a blind spot information system with cross-traffic alert and autobrake, keyless entry, a hands-free power liftgate, and Homelink. Volvo also bundles these two under an Advanced Package ($2,500). There is also a Multimedia Package ($2,500, with a 13-speaker Harman Kardon premium sound system, navigation and a 12.3-inch digital instrument cluster. Volvo concludes the Momentum model’s package offerings with a Linear Lime Deco Inlay Package ($600), which adds footwell lights, mood lights and puddle lamps. The cabin is also dressed in eye-popping linear lime deco inlays. If you select the mid-grade R-Design trim, you’ll find one package choice, the Advanced Package ($2,500). The top-trim Inscription offers a Heated Rear Seats & Heated Steering Wheel Package ($750) and the Advanced Package ($750). 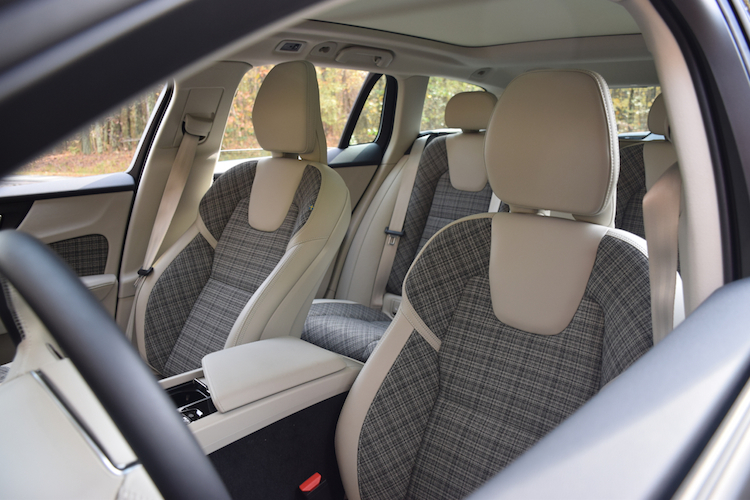 You’ll also find an exclusive-to-the-trim Luxury Seat Package ($2,200, backrest massage front seats, power-adjustable side support for the front seats, and ventilated front seats with your choice of one of four Nappa leather colors and patterns). Gone is the boxy look of previous Volvo models. 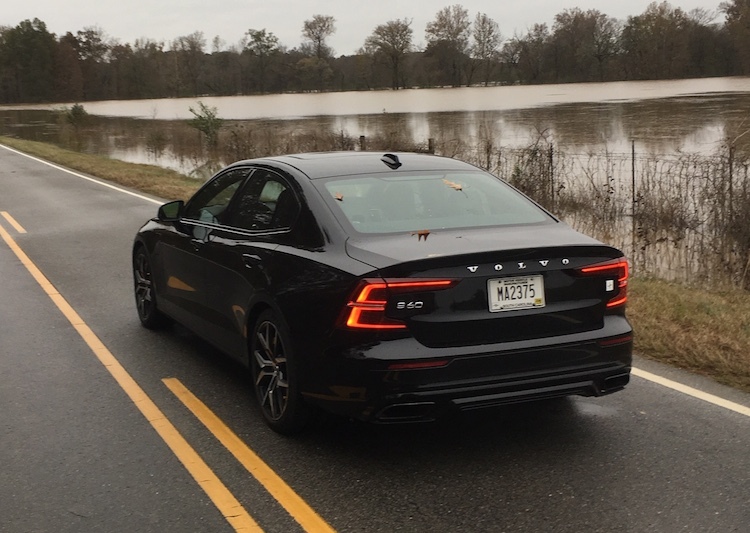 The new V60 matches quite well with the S60 sedan from the front bumper to the C pillar (behind the rear seats). 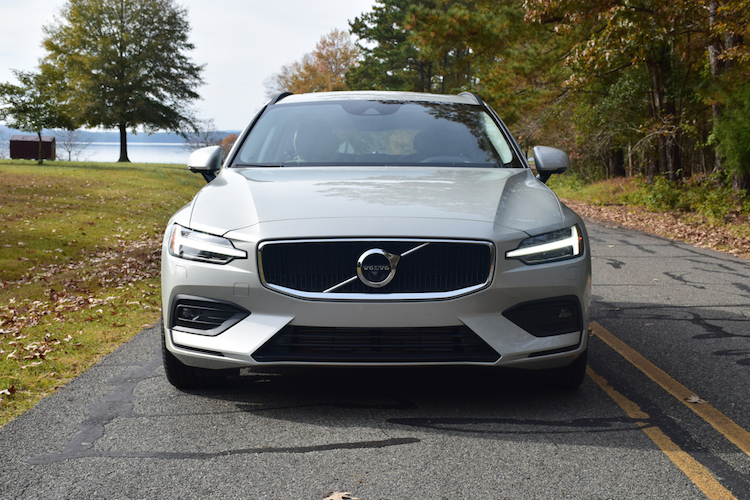 A pronounced grille with Volvo’s trademark insignia kicks things off, but the drama quotient is only raised with the standard LED headlights with Thor’s Hammer daytime running lights. This makes for an eye-catching look and the V60 wears it well. With the V60, Volvo makes a tremendous effort to not make the V60 look like your typical wagon. Sure, the overall look is just that, but with luscious curves, distinct lines and a robust stance, this isn’t anything like your Ford Country Squire of long ago. Design elements from other Volvo models are apparent here, including the oversized hooked tail lamps. The look is at once practical as it is elegant, proving that a wagon is a viable option in a market crowded with crossovers. Inside, the cabin is open, with clean lines and pretty materials evident. As you would expect, driver controls are strategically placed and ergonomic. The front seats are firm, yet supportive and comfortable. The second-row seat offers ample legroom and is ideal for two adults. The driveline hump, however, makes it difficult to justify using the middle position. Storage capacity measures 29 cubic feet behind the second row or 48.2 cubic feet with the rear seat folded. All models have full power accessories, a tilt-and-telescopic steering column, dual-zone climate control, and a load compartment cover. Upgrades include a heated steering wheel, heated and ventilated seats, and a power-folding rear seat. You’re not going to find every conceivable safety feature included with the Volvo V60, but they’re readily available. We already outlined the packages, which complete the safety offerings when chosen. The standard trim offers lane keeping aid, oncoming lane mitigation, and roadside information. Upgrade to the R-Design trim and you’ll find a blind spot information system with cross-traffic alert and automatic braking, rear collision warning, and front and rear park assist. At the Inscription level, the safety features are unchanged. We like that Volvo doesn’t skimp on technologies as even the base model comes well equipped. Here, you’ll find a 9-inch display screen, one that’s far easier to use than the previous layout. 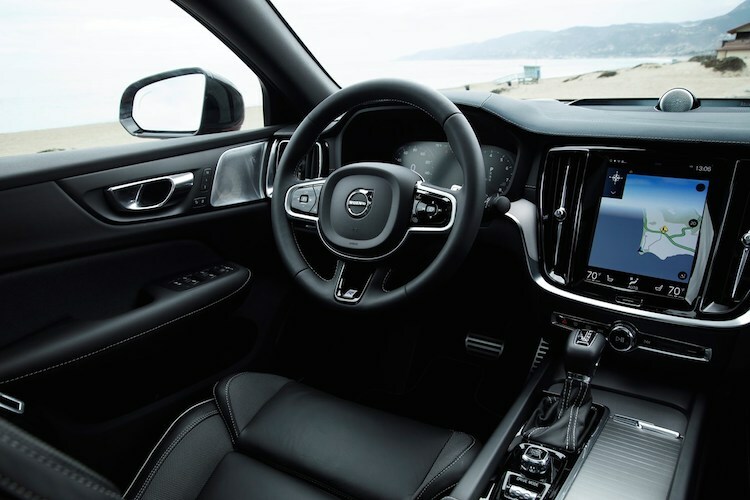 You’ll also find a 10-speaker, 220-watt audio system, HD Radio, satellite radio, Bluetooth connectivity, and Apple CarPlay and Google Android Auto smartphone integration. 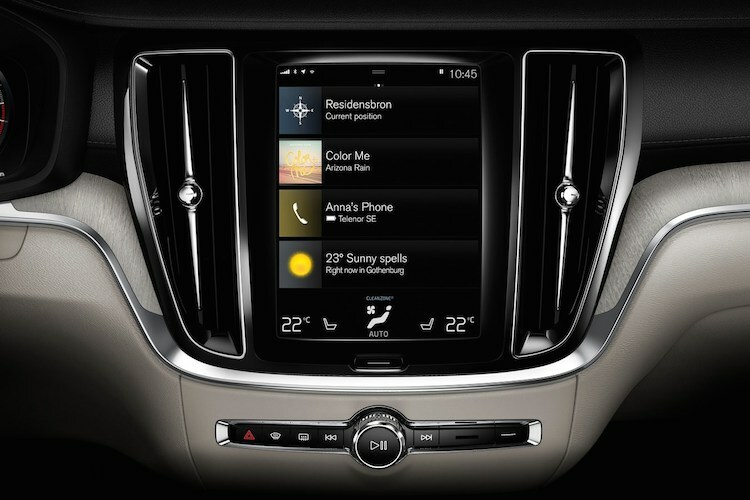 Upgrades include a navigation system and a 13-speaker Harman Kardon audio system. With Volvo, you get a 2.0-liter four-cylinder engine and nothing else. But it is what Volvo does with the engine that makes all difference. All T5 models have a turbocharger, while T6 models combine a supercharger and a turbocharger. The T8 trim isn’t available with the V60, at least not yet, but it builds on the T6 by adding hybrid technology for the strongest model yet. Volvo’s powertrain approach isn’t right for everyone, but it is workable. 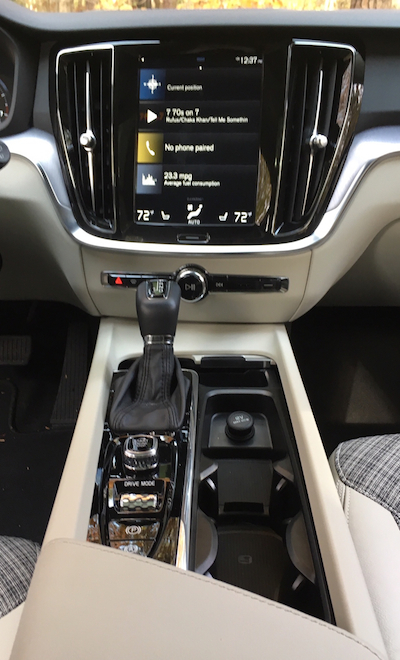 An eight-speed automatic transmission is universal to all contemporary Volvo models. 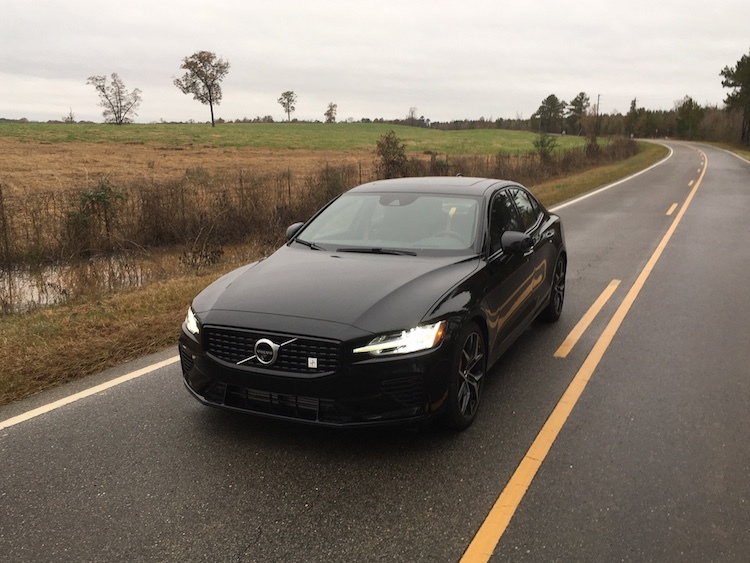 Our equipped V60 T6 is an all-wheel-drive model packing 316 horsepower and 295 pound-feet of torque, which supplies more power than most V6 engines have and equal to V8 power from a generation ago. The supercharger-turbocharger combination means there isn’t any turbo lag present. Further, you’ll get ample front- and back-end boost, something no other forced-induction engine supplies. With ample power at the ready, the only thing missing is the vroom of a robust naturally aspirated motor. Fortunately, Volvo doesn’t fake things with an electronically enhanced exhaust. The engine’s din, though, is noisy. The transmission shoots off gears with precision and steering is weighted. There is some body roll on twisty roads, but not to the level of some crossovers. The available electronically controlled shock absorbers are managed with a dial and four settings. Do you need or want a wagon? Volvo certainly hopes so. There aren’t many manufacturers offering one, which makes a comparison difficult. 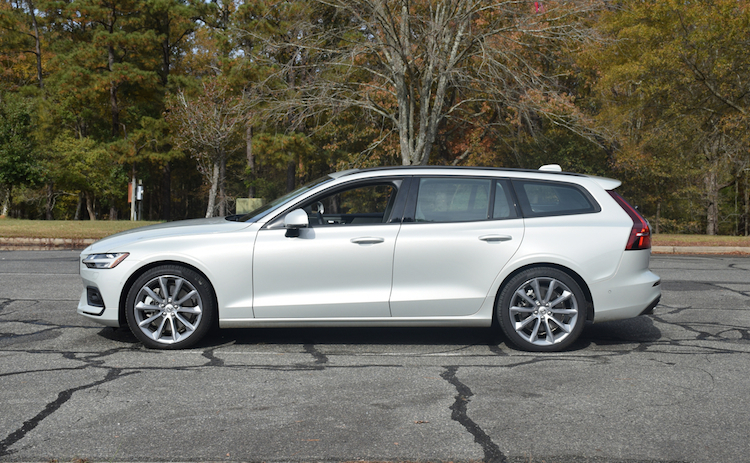 We drove the Buick Regal TourX model earlier this year, but the Volvo is better equipped and a cut above in materials used. 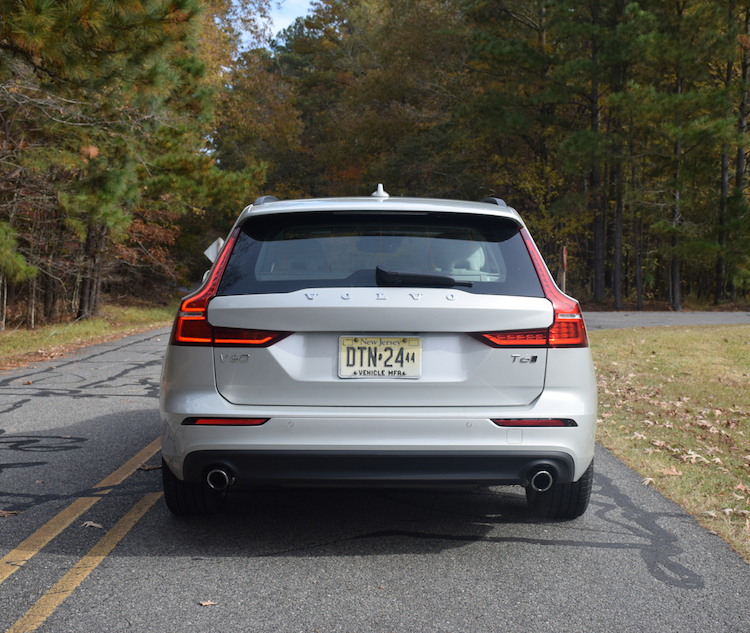 Overall, the V60 finds an intriguing medium between the XC60 crossover and S60 sedan. Beginning in 2019, you’ll also find a “Cross Country” version, which features a one-inch higher profile and special underbody cladding. It has off-road connotations, but you’ll want to keep it on the road.